For tape up to 2” wide. Maximum roll diameter of 5”. Twin-roll steel desk top dispenser. 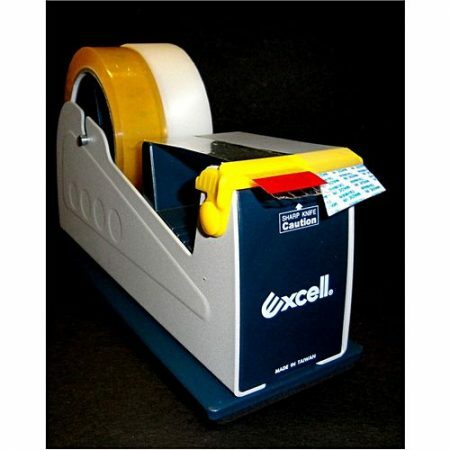 Holds single roll up to 2” wide; or 2 rolls, each up to 1” wide. Weighted-rubber lined base for stability.